What if I am seeking a very specific property that is not listed on your website? Call Home is constantly adding new properties to its portfolio. If you cannot find something that matches your wish list then please just get in touch. We always have new properties being added to our website. We are also happy to conduct bespoke searches for that dream property in the mountains. Frequently privately owned apartments in France are members of a copropriété. This is the joint-ownership of the common parts of the building by each apartment owner. Within the Acte de Vente the privately owned apartment details are set out; within the same document the share of the copropriété is clearly stated. There are legal rules governing the actions of the copropriété. What is a DPE and the other “diagnostics immobiliers”? Must I have them? How many weeks can I expect my property be rented out during the winter? The winter season is 18 weeks long. You can reasonably expect a well-managed and well marketed ski property to have 14 weeks of rentals. The summer season is also an option for rental properties being a popular mountain biking resort , again if marketed in the right way you could achieve 6-8 weeks. What are expected rental returns for a property in the Portes du Soleil? A ski property or an all year round mountain property can offer attractive rental returns. However, returns will vary depending on the type of property you purchase, its location, how you chose to manage the property and when you make the property available for rental. How do I manage buying a property in France when I do not speak French? Call Home is a bi-lingual agency and our team is here to assist you with each stage of your purchase. Furthermore, our partners all have experience of working for English clients and most of them speak English. Notaires fees are calculated from the sale price of the property. They vary according to the type of property for sale. On average, for an existing building, fees are about 7%. For new builds in France notaires fees are only 2.5%. A Notaire is a public notary who acts impartially for both buyer and seller in the purchase or sale of your property. The notaire will undertake all required searches, verify that the property is free from any mortgages and other checks as would be expected of a solicitor. What is an Acte de Vente? This is the deed of sale and is final step in the sale or purchase of your ski property. This document is signed between the vendor and purchaser at the notaires office. Please see our Selling a Property page for more details. The first step in buying your chosen property is the “Compromis de Vente”. This is a legal document that commits the buyer and seller to the sale. At the time this document is signed a deposit of 5 to 10% is made. Please see our Buying a Property page for more details. What is a Mandat de Vente? A “Mandat de Vente” is the document that as seller you sign with Call Home so that we can market your property. It is a short document that sets out the legal description of the property, all the property owners, our fees and the agreed sale price for the property. I need information about Capital Gains Tax. Capital Gains Tax in France has been changing recently, and continues to evolve. At Call Home we can provide a general overview, however for specific advice we will refer you to our English speaking accountants and Notaires. How do I get a mortgage for my French purchase? Call Home can recommend a number of mortgage providers and brokers who are experienced at providing finance for property purchases in France. Just ask and we will be happy to put you in touch. We recommend that when you start your property search, if you are thinking of taking out a mortgage, that you approach a couple of mortgage providers straight away. They will be able to provide you with an offer in principal and help you confirm you budget. What information do I need to sell my property? Here at Call Home we have a professional approach; the more information you provide about your property, the more effective our marketing will be on your behalf. To establish a “Mandat de Vente” with Call Home we will require: 1. The name, current addresses and birth information of all the property owners 2. The deed of sale 3. Your most recent taxe d’habitation 4. Your most recent taxe fonciere 5. Annual fuel bills 6. Annual electricity bills 7. Diagnostics immobiliers 8. Copies of any planning permissions and declarations d’achèvement du travaux If you have any concerns about any of these documents or have any other questions, please just contact one of the Call Home team. What happens when I have found a property that I want to purchase? In France you need to be ready to buy when you find the perfect property. You must either have funds available or reasonable confidence that you can obtain a mortgage. On finding your dream ski property, we will guide you through the steps to signing the “Compromis de Vente” and paying the deposit that secures your purchase. We will stay with you every step of the way until you have the keys to your mountain home. I would like purchase a property, how do I go about it? You have decided to buy a property in Les Gets, Morzine or surrounding areas and want to know what to do next. Have no fear, Call Home are here. We have a wide range of different properties for you to consider. 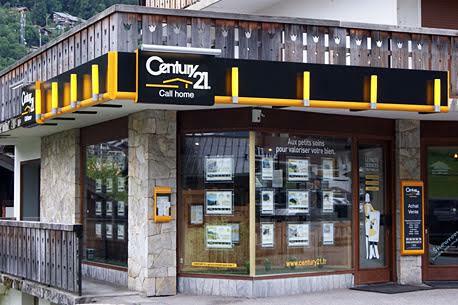 Pop into our office in Morzine or simply give us a call to chat to one of our agents, we will work with you through your requirements, match them to suitable properties and organise viewings. Our knowledgeable agents will explain the buying process to you and guide you through step by step until you have completed your purchase. Your valuation differs from that of another agency. Each estate agency will independently value your property. At Call Home we know the local market well and will price your property drawing by our depth of experience. We are realistic and are fair to both seller and buyer and reflect recent market developments in our pricing. I want to sell my property, where should I start? At Call Home we advise you to begin by assembling the paperwork for your property. With this in hand you are ready for a meeting with Call Home : feel free to meet us at the agency or give us a ring. One of our Call Home agents will talk you through the sales process, what to expect and next steps. We will visit your property and provide you with our written valuation.